Three asymmetrical block structures in Denmark were designed by Lumo Architects as stylish masterpieces of art and passion. 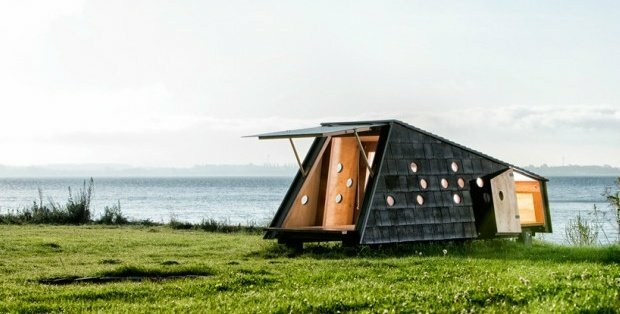 Inspired by the huts of fishermen – where they store the fish they caught – these odd structures are used for variety of purposes now from entertainment to nighttime accommodations. 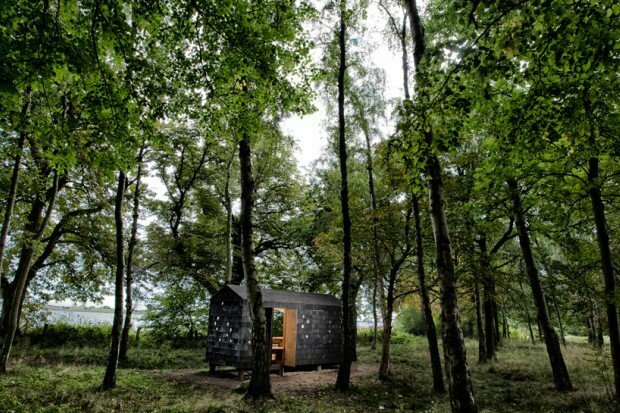 The shelters offer visitors the chance to immerse themselves in the rural landscape from the relative comfort of the wooden huts. 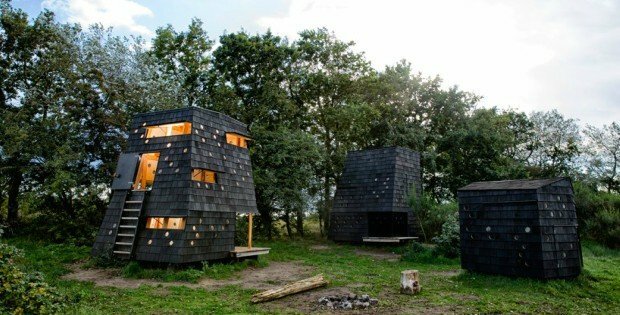 Each hut is capable of accommodating a different number of people, and features a distinctive asymmetrical form. 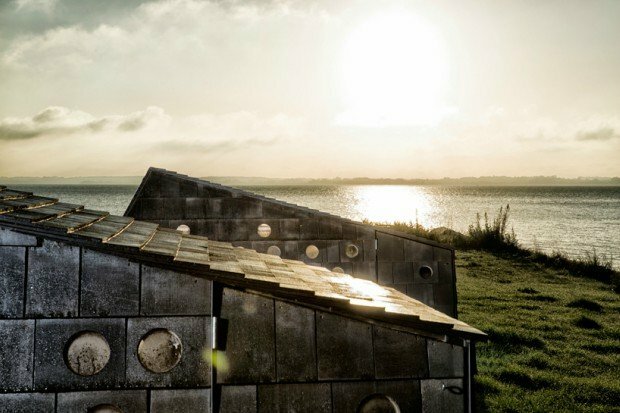 Their design has been inspired by the traditional fishermen huts that were originally used to store their catch. 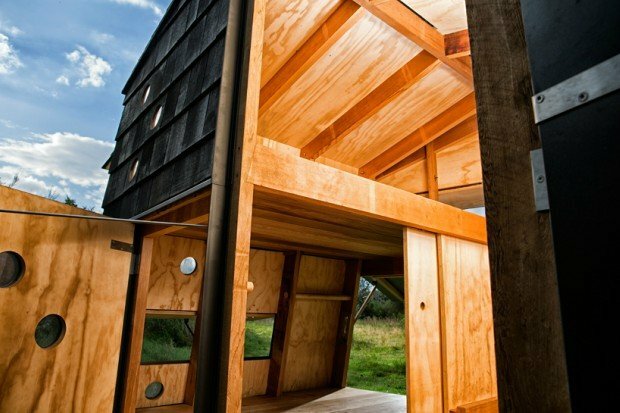 Each shelter has its own name that’s drawn from its traditional origins. The variety sleeping accommodations and functions makes the shelters extremely flexible, allowing the campsites to incorporate them into their existing arrangements with ease. The interior spaces give way to the much lighter warm tones of the wood framing.